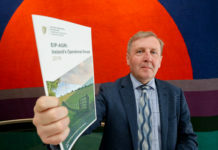 Teagasc’s new development of horticulture, forestry and education facilities at its campus in Ashtown, Dublin were officially opened on Thursday, 17 May by Andrew Doyle TD, Minister of State at the Department of Agriculture, Food and the Marine. 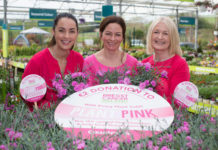 Over €2.1 million has been invested in facilities including a modern glasshouse equipped with advanced systems for research, a turfgrass academy, a horticultural utility building, a large multi-span forestry polytunnel and additional polytunnels and structures which have various specific uses. The other primary piece of infrastructure on the site is the mushroom research unit, which has 100m2 of growing area to support a dedicated mushroom research programme. 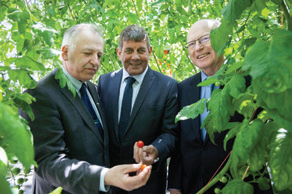 These new facilities underline a Teagasc commitment to the horticulture sector and complement already existing facilities on the Ashtown campus, including a conference centre and facilities associated with the food research programme.